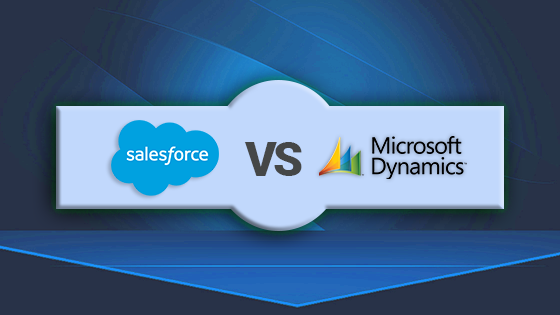 There is a long-standing rivalry in business between Salesforce and Microsoft Dynamics. These two are comparable in terms of price, target business type and user experience and hence are constantly pitted against each other. The CRM software chosen by an organization has an impact on the efficiency of team works, level of service provided to customers and eventually the growth of the business. Many experts claim that Salesforce is a better CRM than MS Dynamics. Here we will check if it a truth or a myth. User enthusiasm to use any system is directly proportional to the user experience. For Salesforce user experience includes a well-designed interface with application utility that is simple, intuitive and easily customizable. Hence it is preferred by users. On the other hand, after the 2013 release, MS dynamics has made considerable improvement in terms of the interface by taking a more modern approach. However, there is still a long way towards a perfect user experience as there are still challenges in modifying tabs, style sheets, themes and typography (fonts, headlines etc. ).MS Dynamics incurs a longer learning curve and lesser mobile experience. Salesforce delivers customer specific services for email marketing and marketing automation using ExactTarget and Pardot. Salesforce Marketing Cloud clearly scores over MS Dynamics for digital marketing or any of the other marketing automation capabilities like lead tracking, lead acquisitions, lead scoring, lead nurturing, lead transfer to sales and lead analytics. On the contrary, taking over of Marketing Pilot by Microsoft leading to rationalization and renaming to Microsoft Dynamics Marketing has not been as shining as expected. However, it’s Marketing Resource Management (MRM) is useful and beneficial. Salesforce delivers more tools like social media engagement, mobility, data upload, routing and approval and flexible APIs. These enable the system to have more efficient and flexible analytical capabilities. MS Dynamics also comes on stage with some unique tools like well-designed dashboards, outlook integration and drill down functionality however it is more rigid regarding customization options. Depending upon company size, data needs and global reach availability of certain tools become critical for an organization and hence Salesforce scores over MS dynamics here. Some features that really set Salesforce and MS dynamics apart from other CRMs are those related to AI. Salesforce Analytics Cloud is a business intelligence software and is powered by Wave. It utilizes cloud and mobile technology to deliver more powerful and secure data faster. Salesforce Einstein uses artificial intelligence learning algorithm to understand each companies selling trend and suggest improvements. When used in the marketing and service tools, it can suggest answers to customer specific questions. The tool works seamlessly with Salesforce but is an added cost. On the other hand, MS dynamics integrates with Microsoft Power BI and enables agile data analysis. It is starting to end analytics solution to extract and transform functions, analyze capabilities and visualization of data. Both Salesforce and MS Dynamics offer market-leading features and scalable platforms. They also offer the customized solution with the add-on in online stores. Hence neither of these two CRM can be crowned as better than other. The decision should be based on what business system is already existing and organization-specific needs.